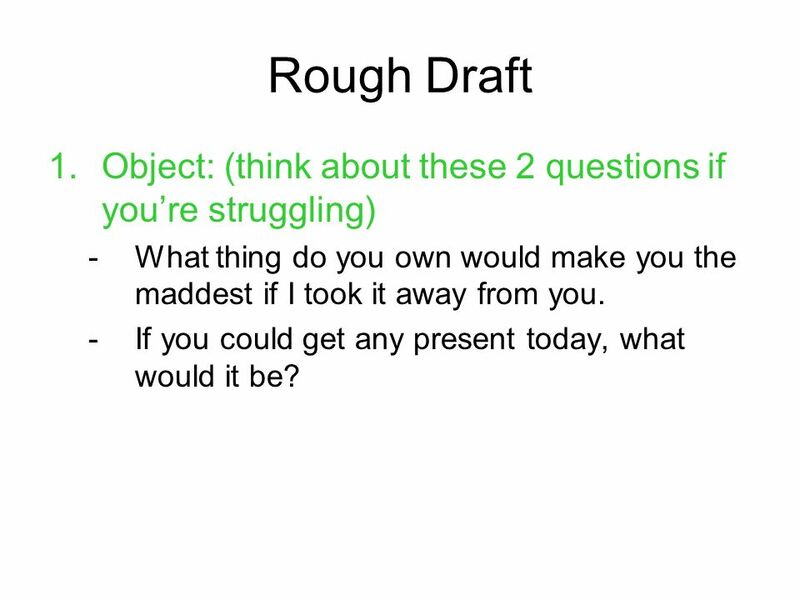 5 Rough Draft Object: (think about these 2 questions if you’re struggling) What thing do you own would make you the maddest if I took it away from you. If you could get any present today, what would it be? 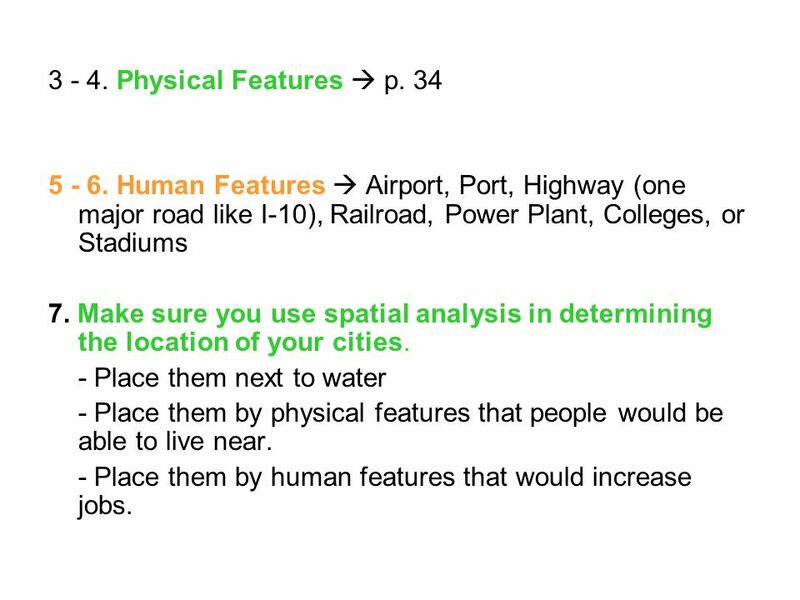 6 Physical Features  p. 34 Human Features  Airport, Port, Highway (one major road like I-10), Railroad, Power Plant, Colleges, or Stadiums 7. Make sure you use spatial analysis in determining the location of your cities. - Place them next to water - Place them by physical features that people would be able to live near. - Place them by human features that would increase jobs. 7 Have steps 1 - 5 in Part One done when you walk in tomorrow. 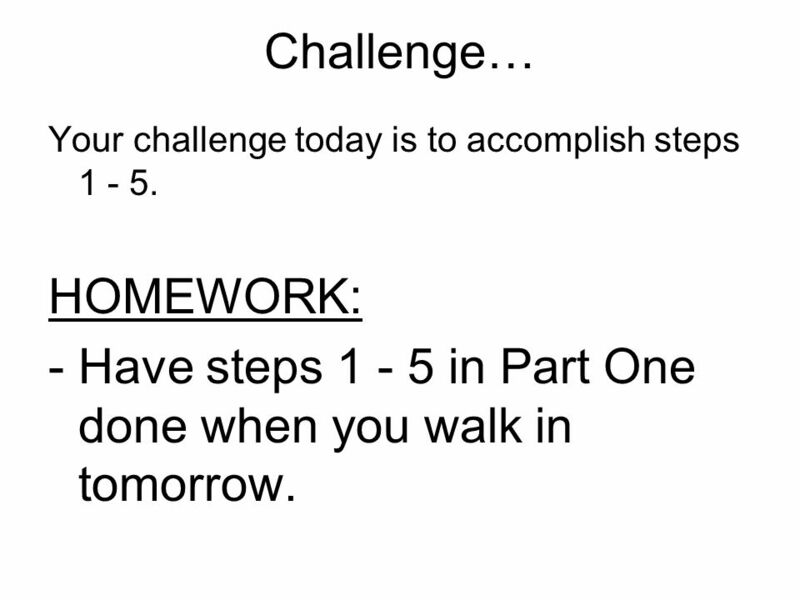 Challenge… Your challenge today is to accomplish steps HOMEWORK: Have steps in Part One done when you walk in tomorrow. 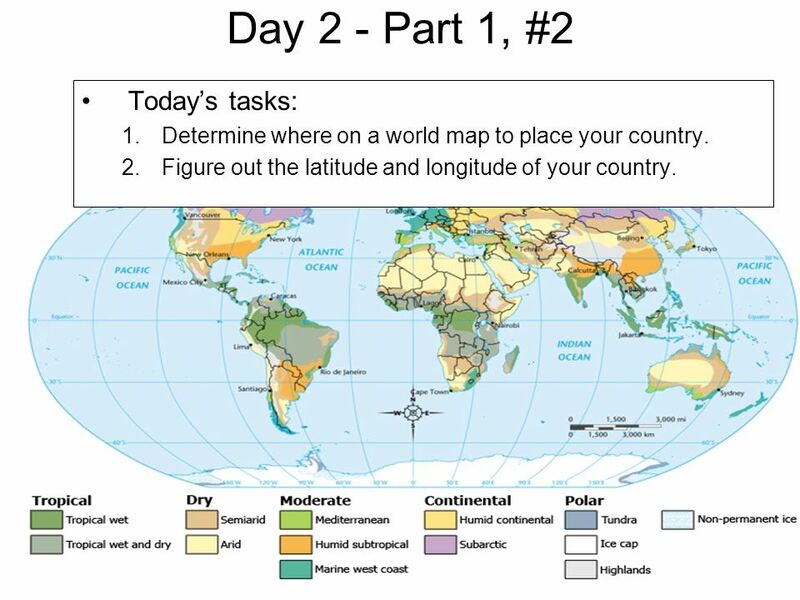 Determine where on a world map to place your country. 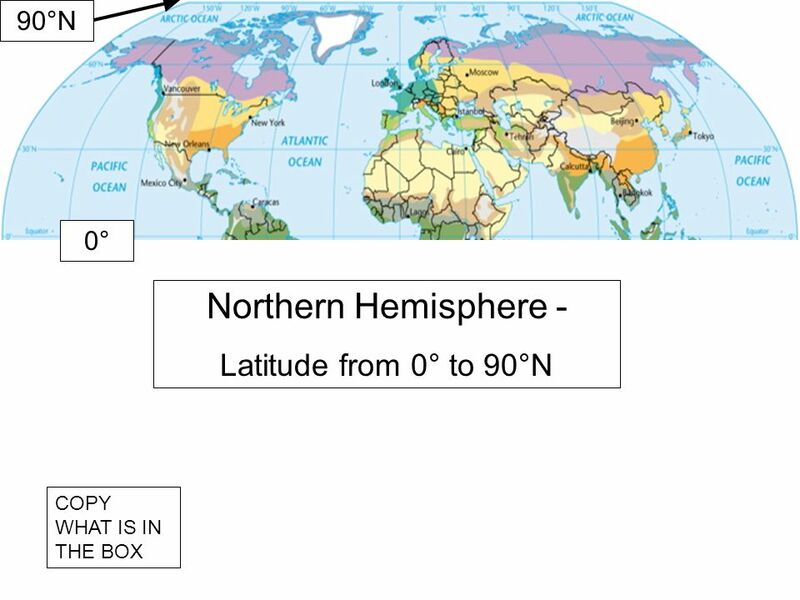 Figure out the latitude and longitude of your country. 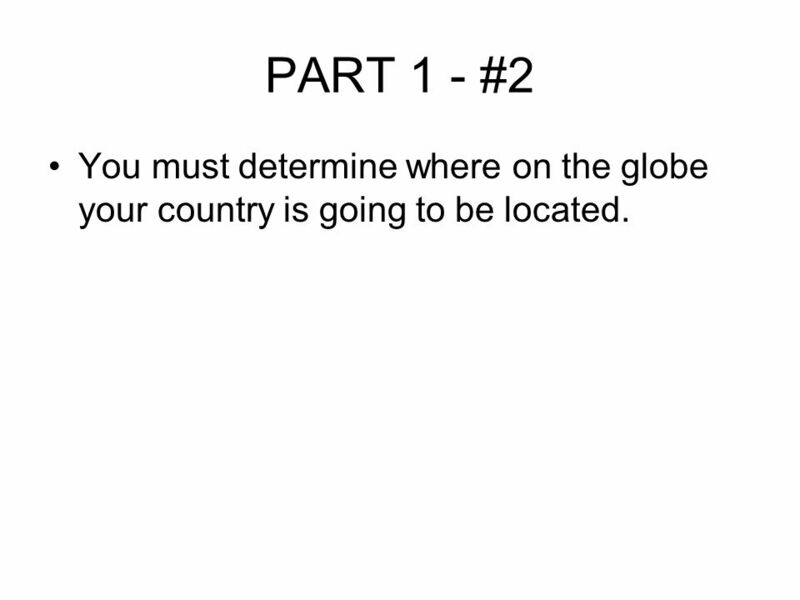 14 PART 1 - #2 You must determine where on the globe your country is going to be located. 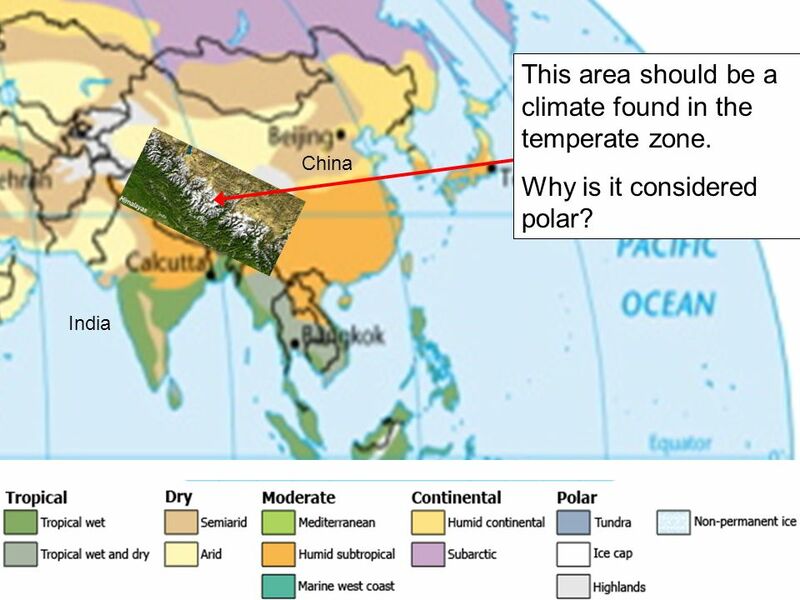 21 This area should be a climate found in the temperate zone. 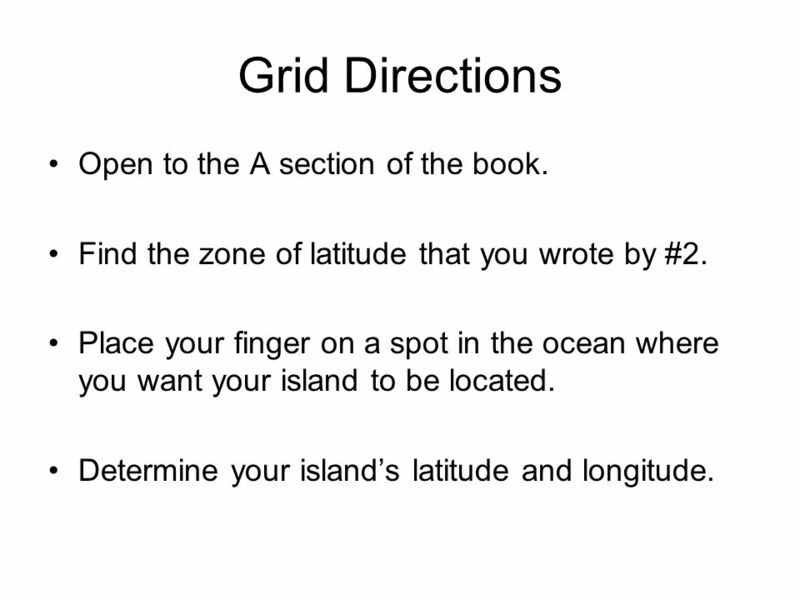 22 Grid Directions Open to the A section of the book. 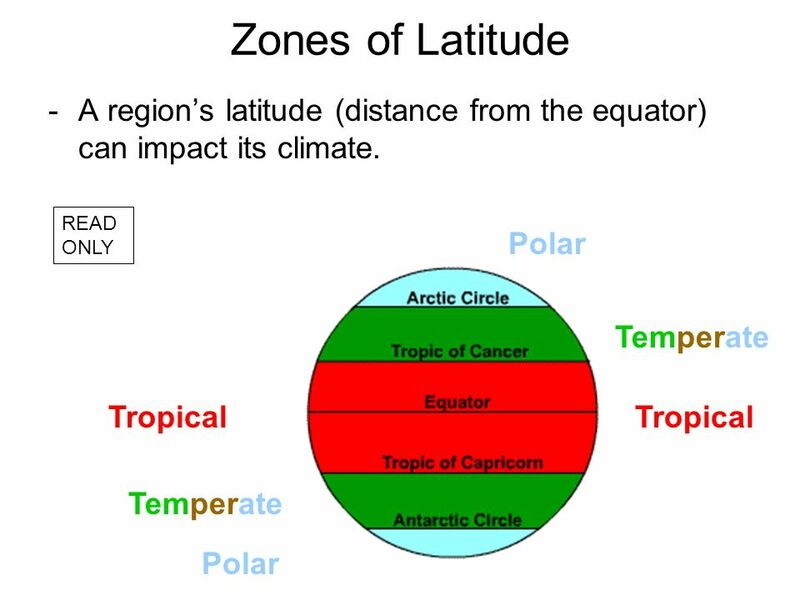 Find the zone of latitude that you wrote by #2. Place your finger on a spot in the ocean where you want your island to be located. 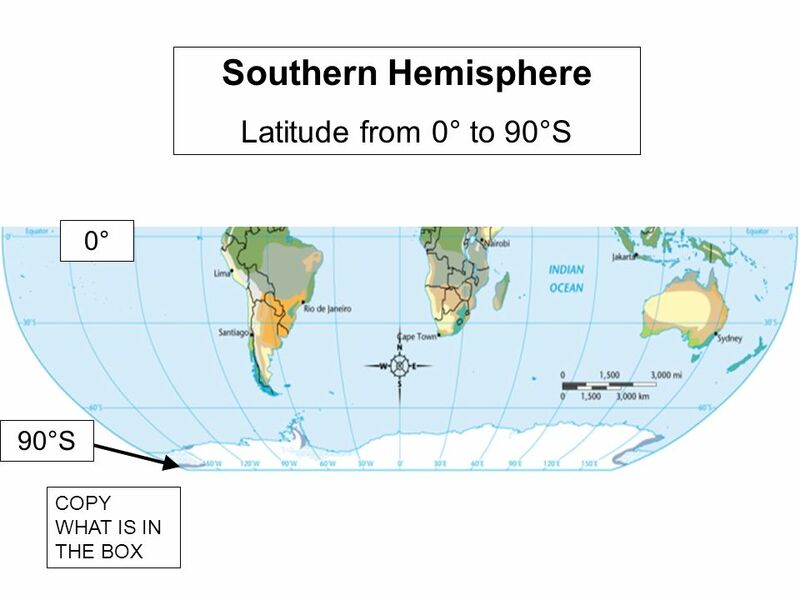 Determine your island’s latitude and longitude. 23 Grid Directions On your blank piece of paper, draw 3 horizontal lines and 3 vertical lines. 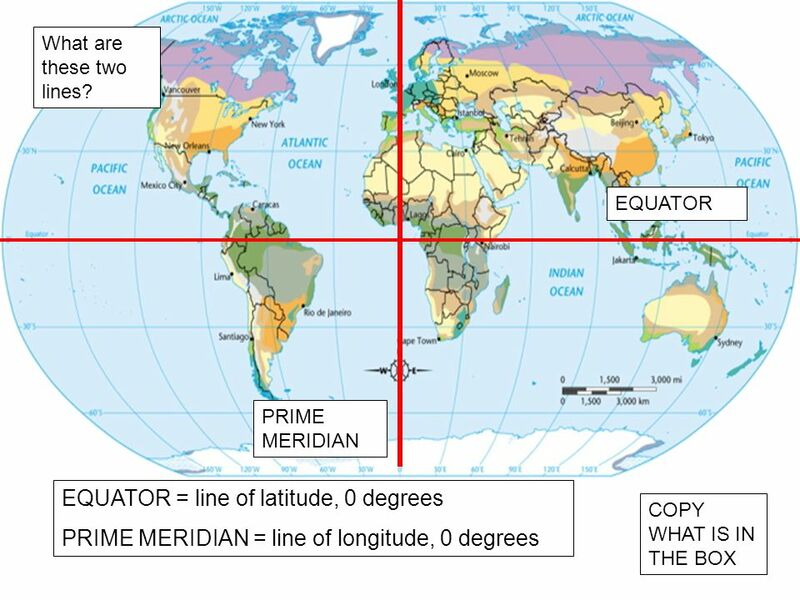 These are your latitude and longitude lines. 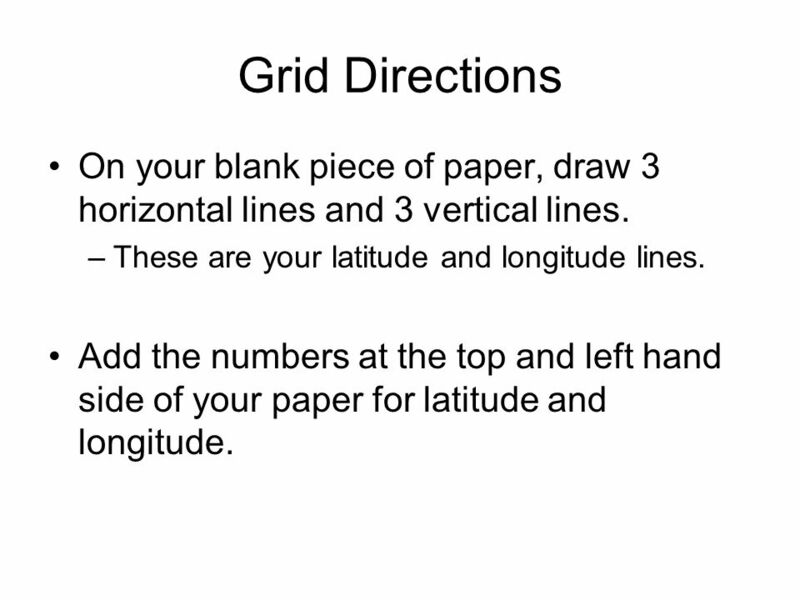 Add the numbers at the top and left hand side of your paper for latitude and longitude. Your goal for today 1. 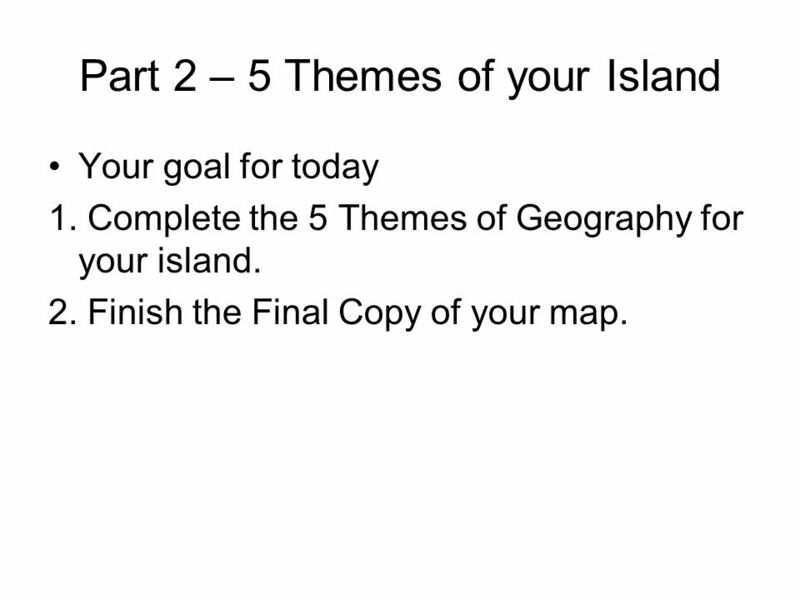 Complete the 5 Themes of Geography for your island. 2. Finish the Final Copy of your map. 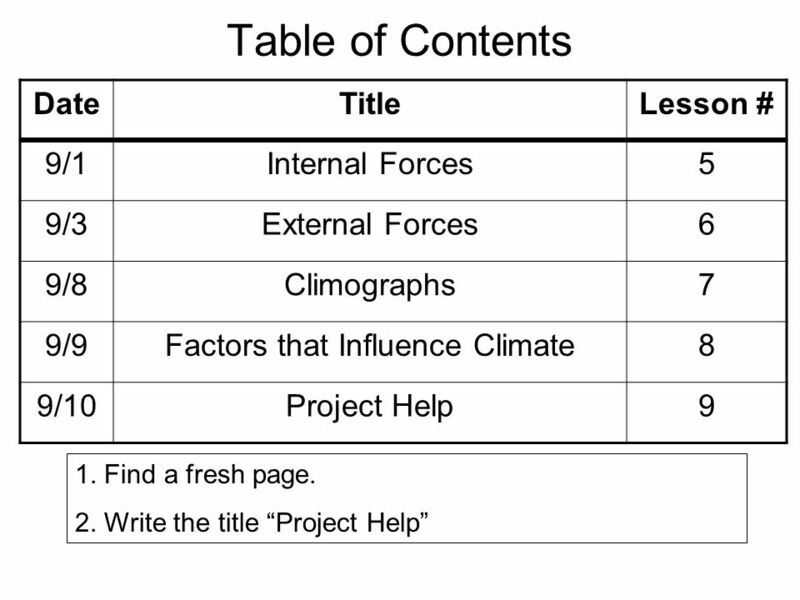 Table of Contents Date Title Lesson # 9/1 Internal Forces 5 9/3 External Forces 6 9/8 Climographs 7 9/9 Factors that Influence Climate 8 9/10 Project Help 9 TURN TO YOUR PROJECT HELP PAGE. IF YOU DON’T HAVE ONE YET, MAKE ONE ON A FRESH PAGE. - Absolute: Use your grid to determine the absolute location, - write it like this (25º N, 115 º W) - Relative: What is it near? 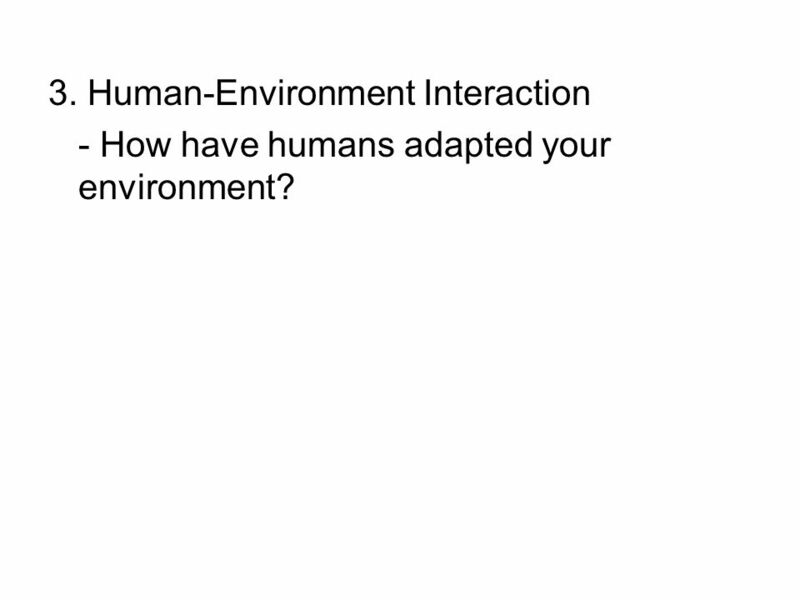 - How have humans adapted your environment? 30 4. 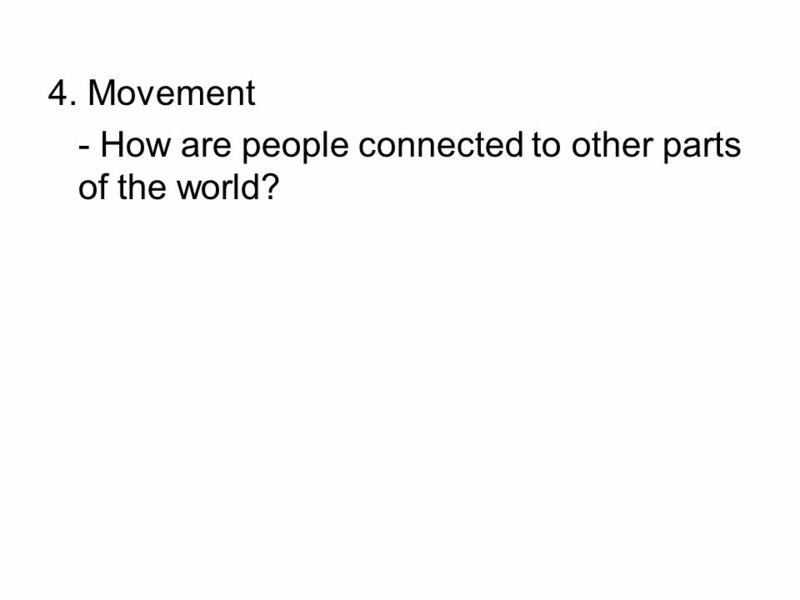 Movement - How are people connected to other parts of the world? 32 6. 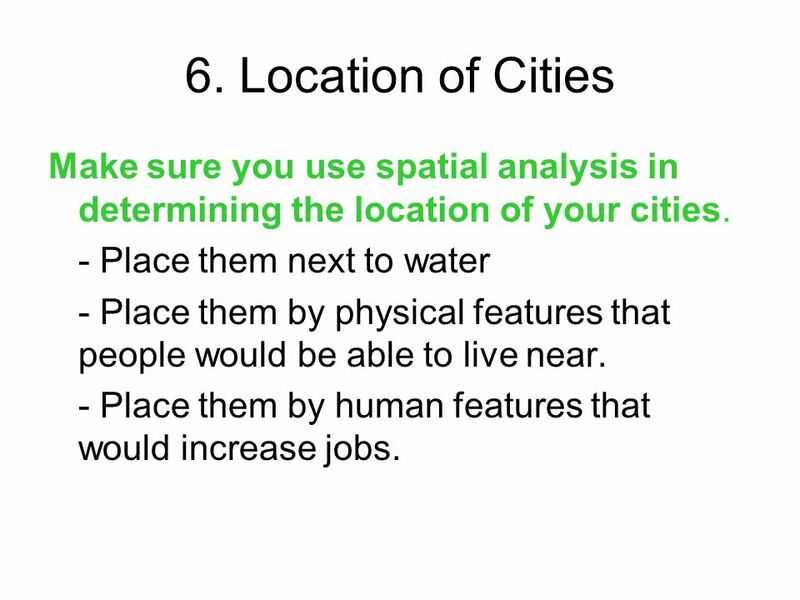 Location of Cities Make sure you use spatial analysis in determining the location of your cities. 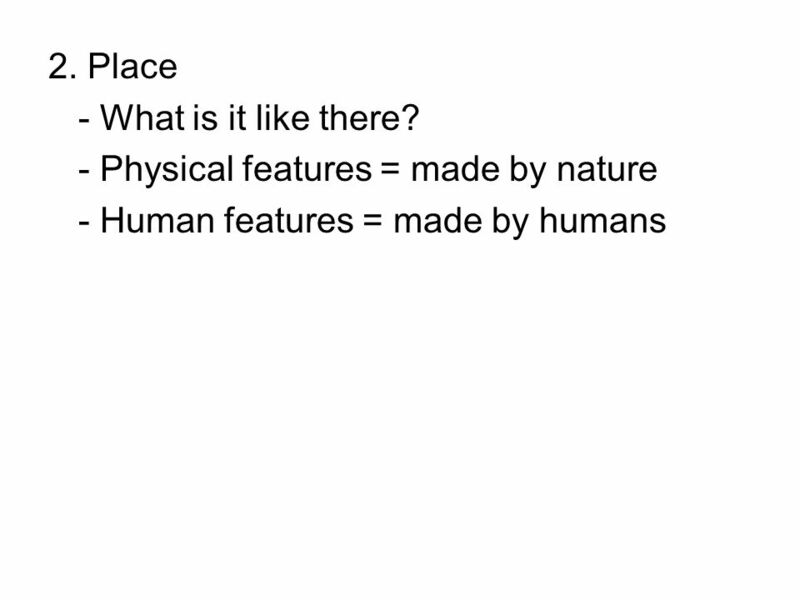 - Place them next to water - Place them by physical features that people would be able to live near. - Place them by human features that would increase jobs. Your goal for today 1. 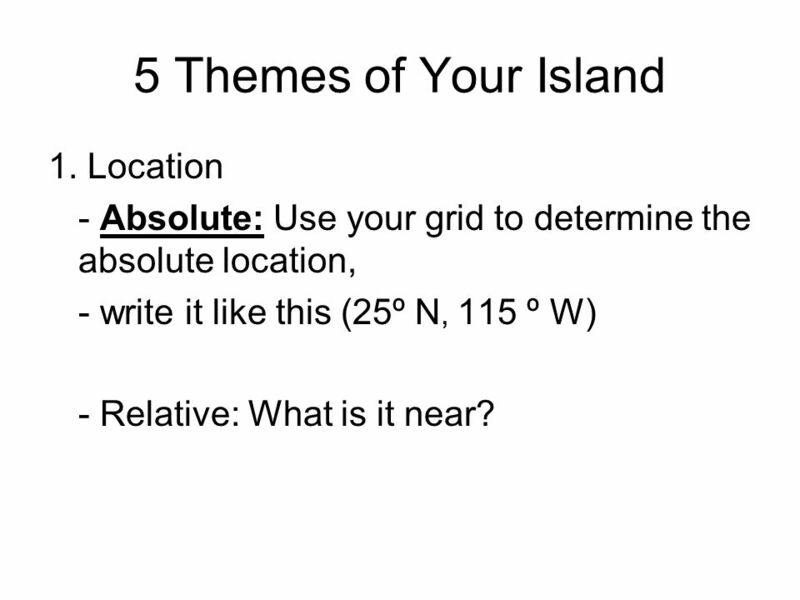 Complete the 5 A’s activity for your island. 2. Finish the Final Copy of your map. 35 1. 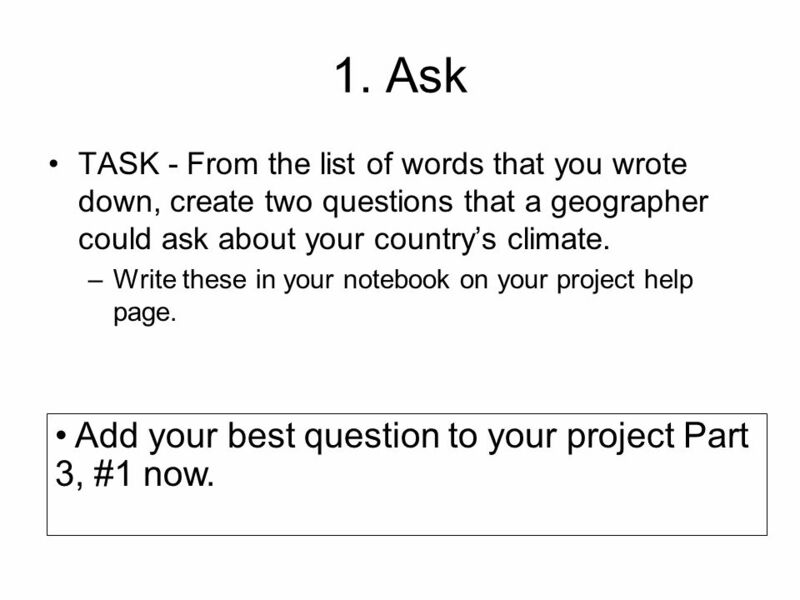 Ask Add your best question to your project Part 3, #1 now. 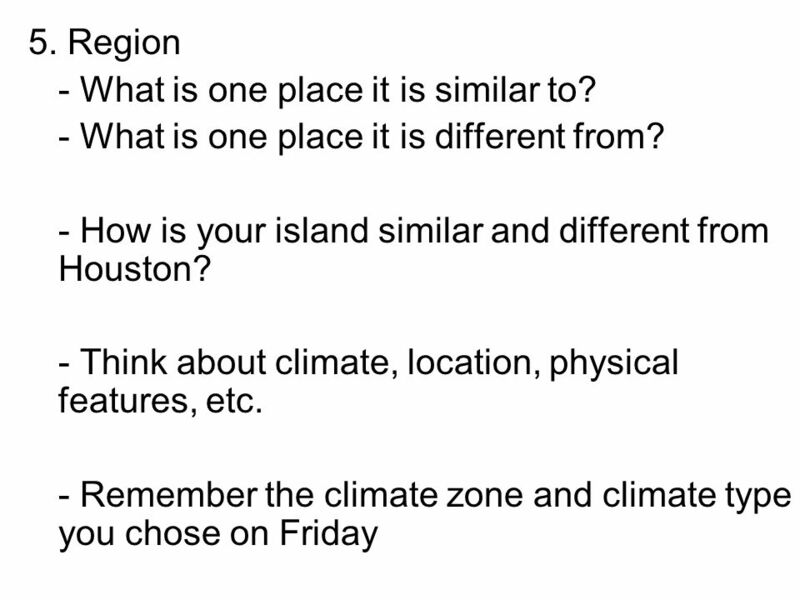 TASK - From the list of words that you wrote down, create two questions that a geographer could ask about your country’s climate. 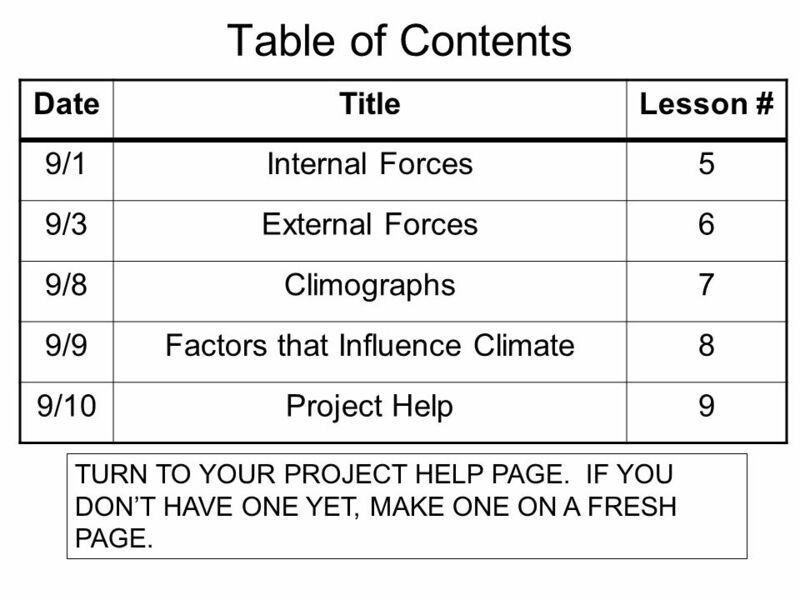 Write these in your notebook on your project help page. 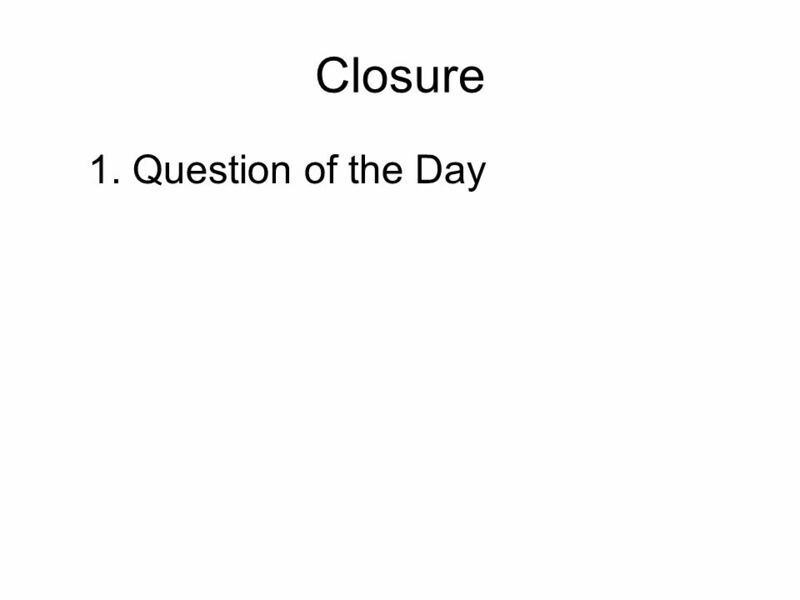 Add your best question to your project Part 3, #1 now. 36 2. Acquire What must you do to find the answer to the question you wrote for Part 3, #1? How will you acquire the data? 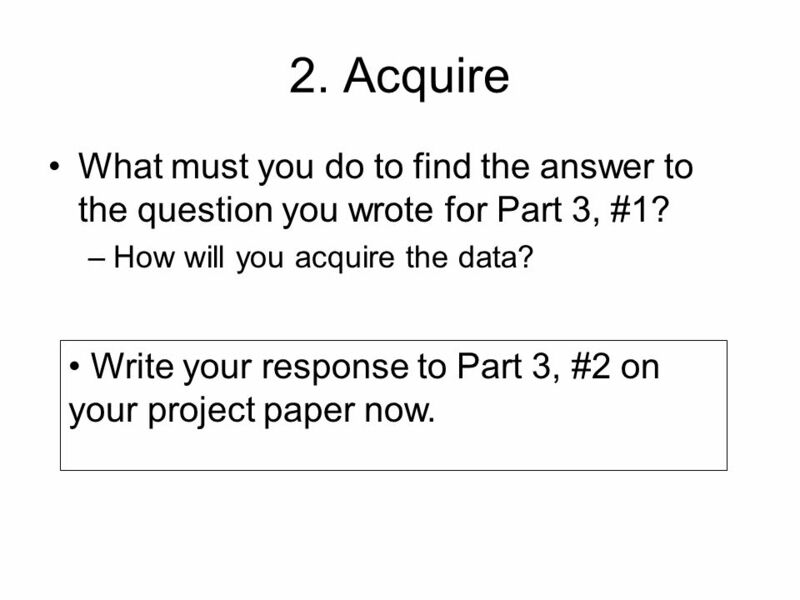 Write your response to Part 3, #2 on your project paper now. 37 3. 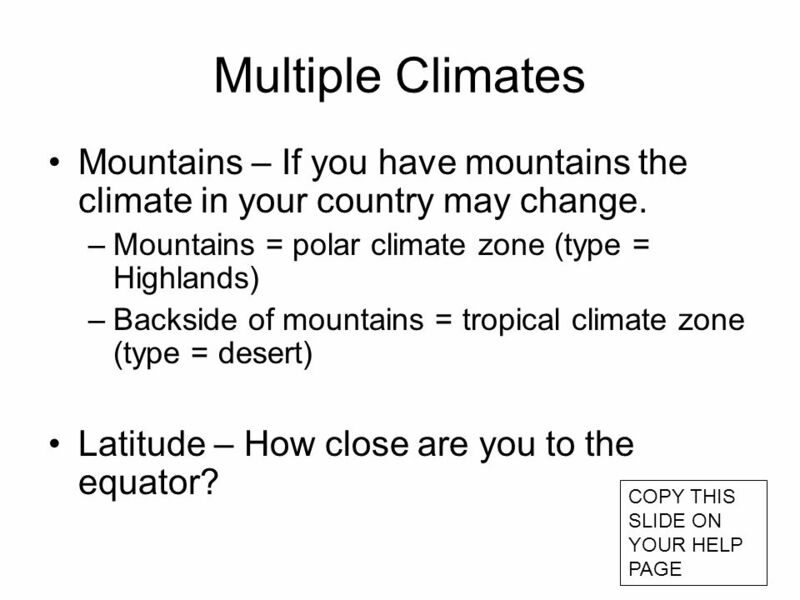 Arrange How are the climates different in your country? 41 3. 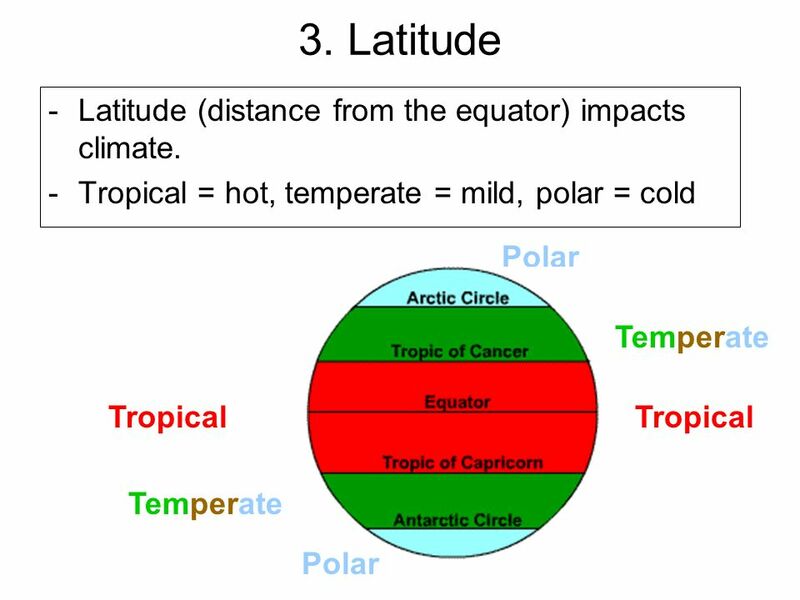 Latitude Latitude (distance from the equator) impacts climate. 43 4. 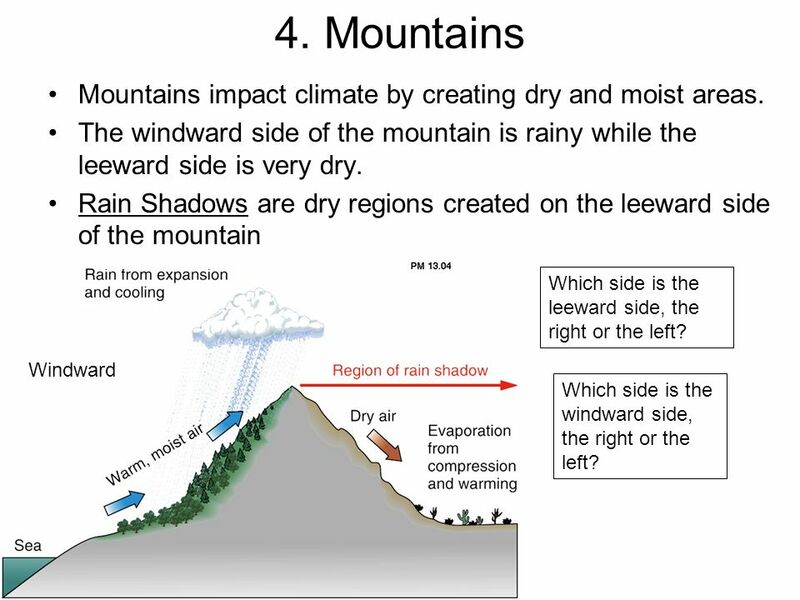 Mountains Mountains impact climate by creating dry and moist areas. 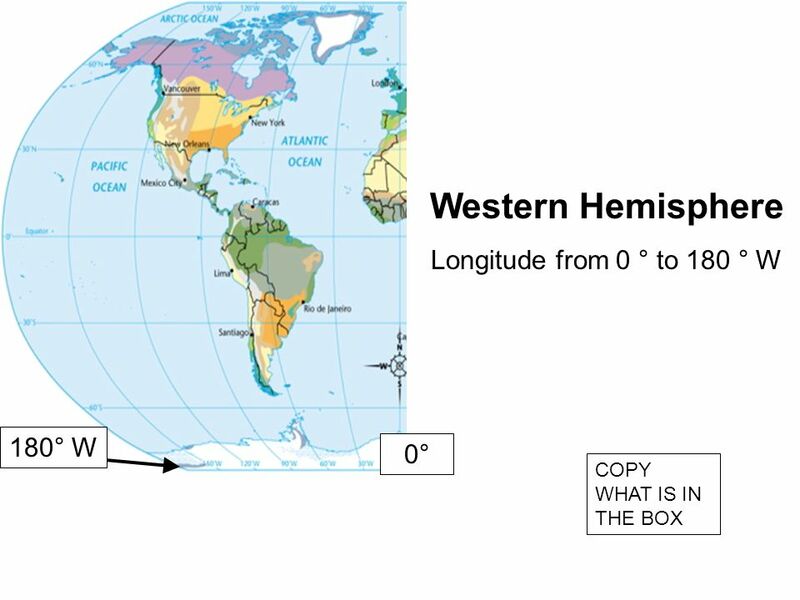 44 This area should be a climate found in the temperate zone. 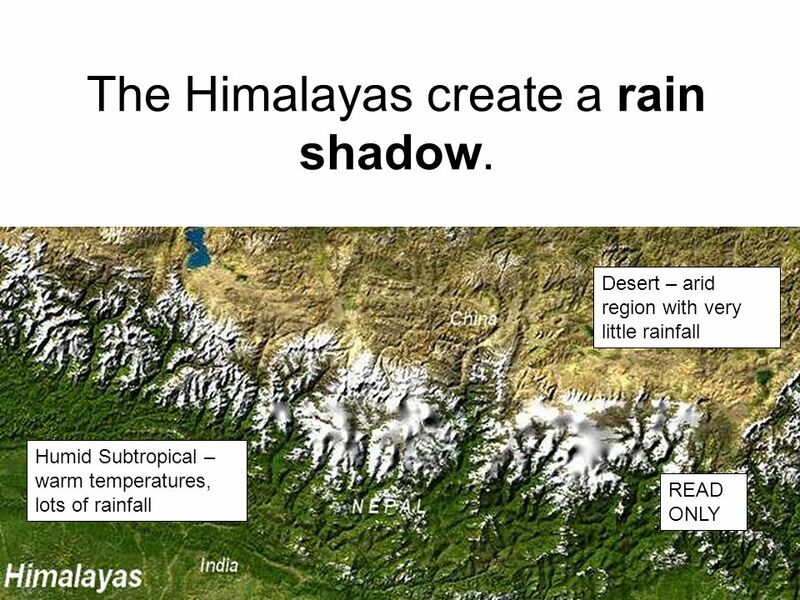 45 The Himalayas create a rain shadow. 46 3. 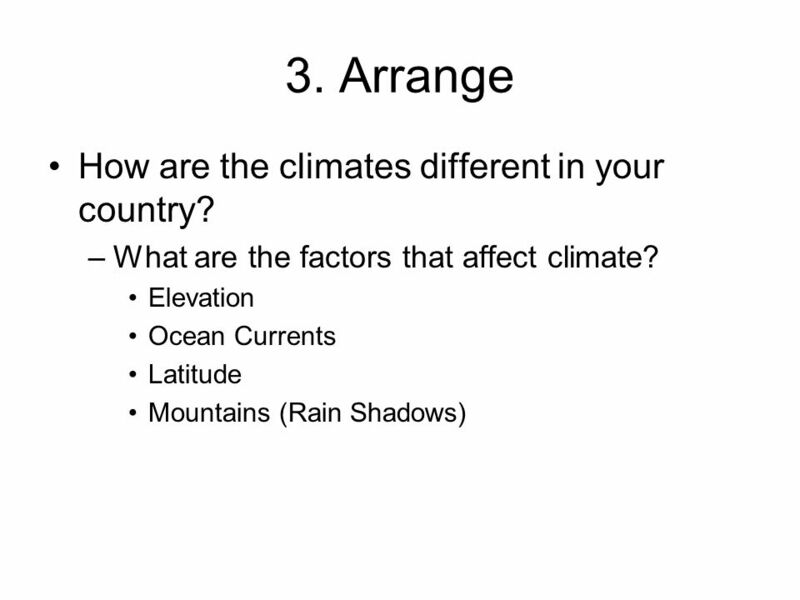 Arrange How are the climates different in your country? 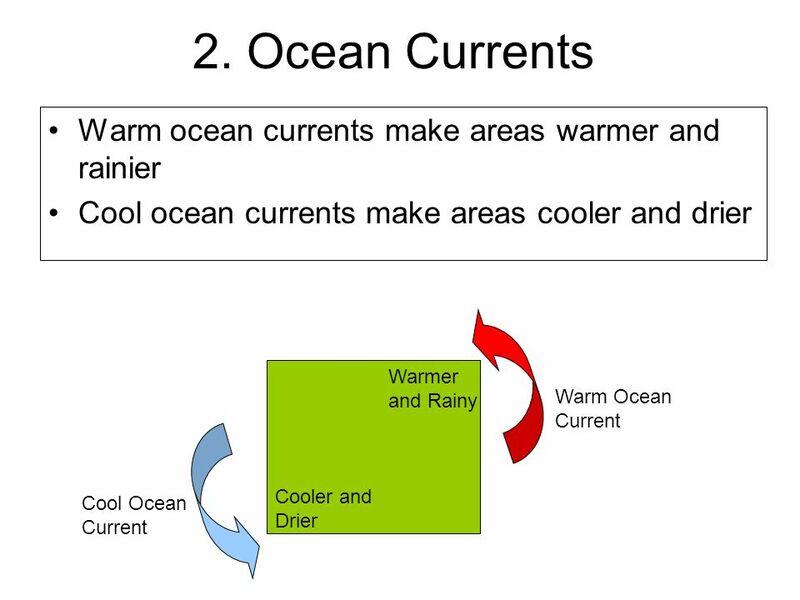 What are the factors that affect climate? 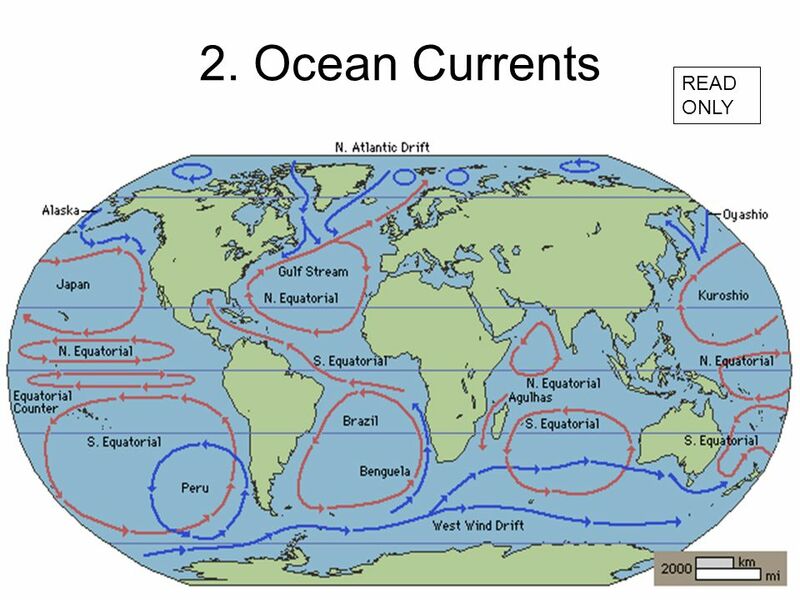 Elevation Ocean Currents Latitude Mountains (Rain Shadows) ADD WHATEVER YOU NEED TO ADD TO CREATE MULTIPLE CLIMATES ON YOUR MAP NOW. 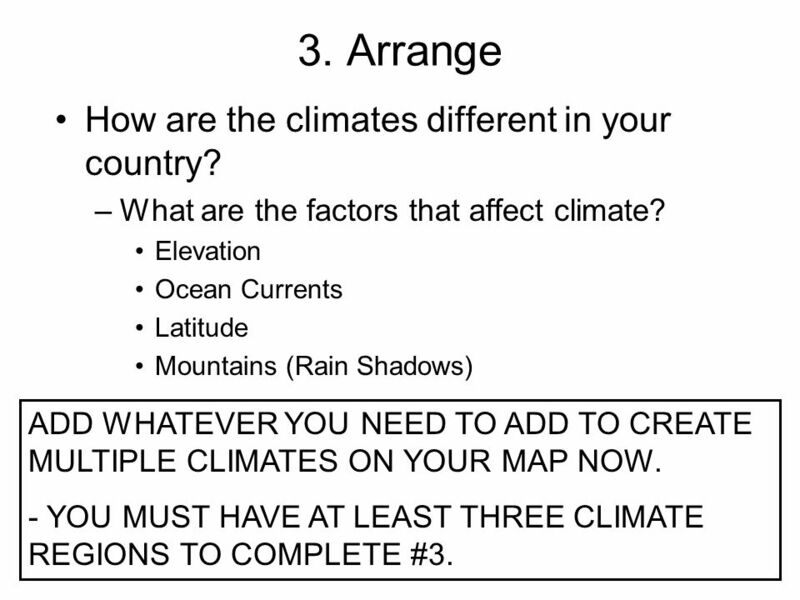 - YOU MUST HAVE AT LEAST THREE CLIMATE REGIONS TO COMPLETE #3. 47 3. 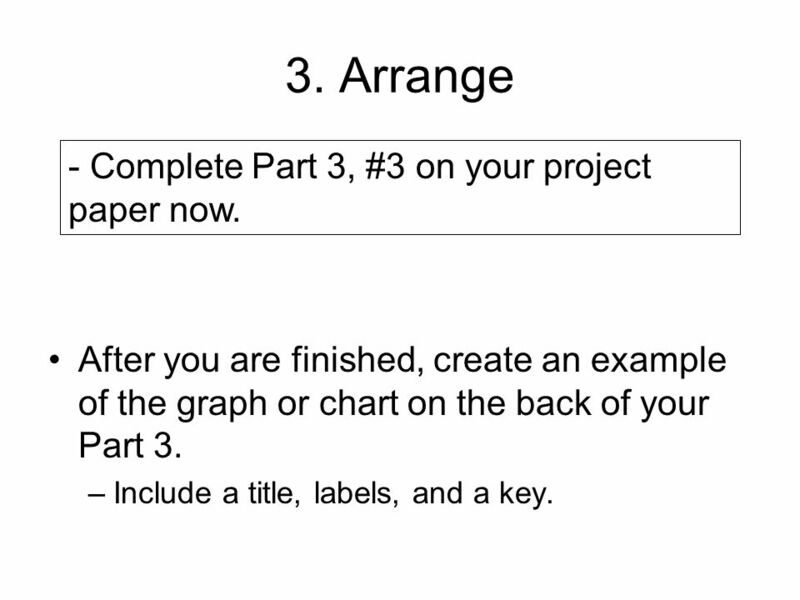 Arrange - Complete Part 3, #3 on your project paper now. After you are finished, create an example of the graph or chart on the back of your Part 3. Include a title, labels, and a key. 48 After you are finished, create an example of the graph or chart on the back of your Part 3. Include a title, labels, and a key. 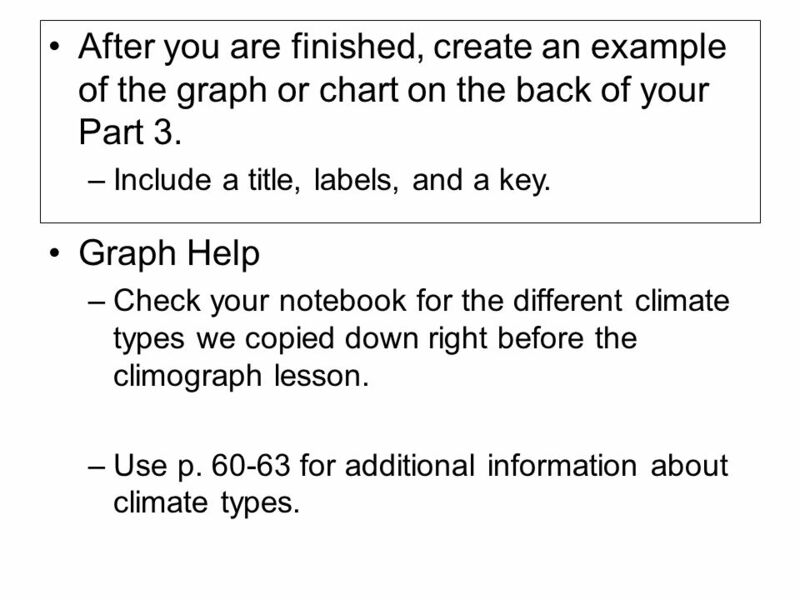 Graph Help Check your notebook for the different climate types we copied down right before the climograph lesson. 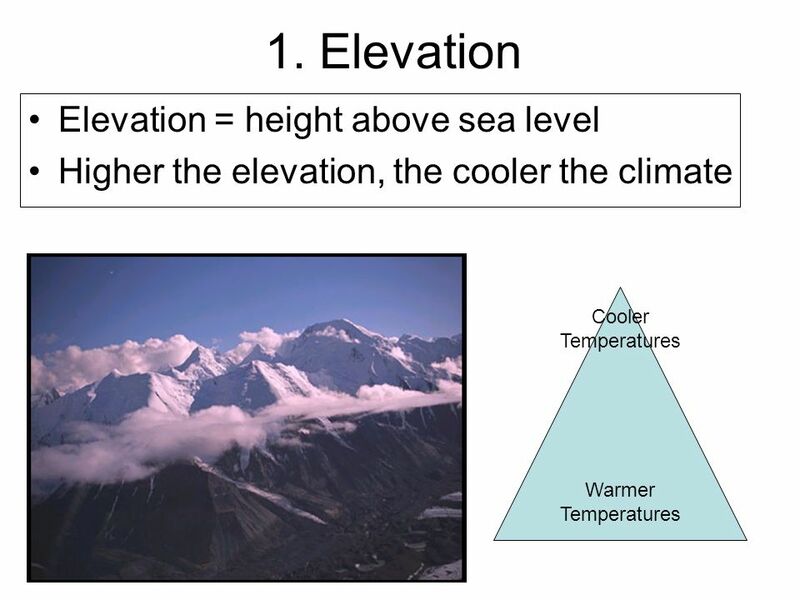 Use p for additional information about climate types. 49 4. 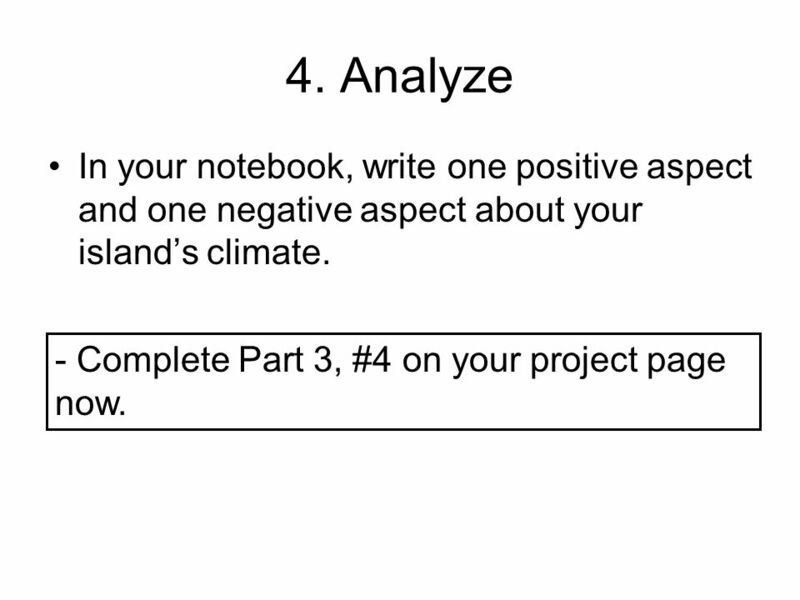 Analyze In your notebook, write one positive aspect and one negative aspect about your island’s climate. - Complete Part 3, #4 on your project page now. 50 5. 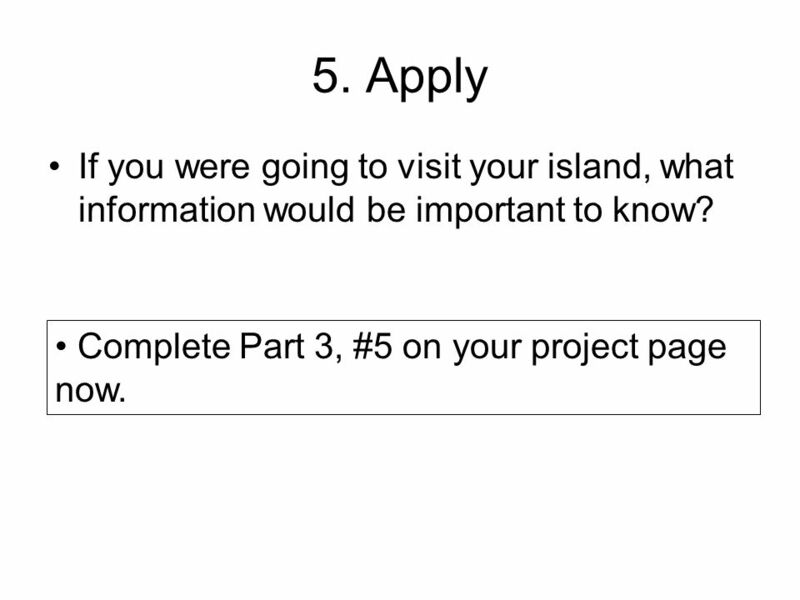 Apply If you were going to visit your island, what information would be important to know? Complete Part 3, #5 on your project page now. 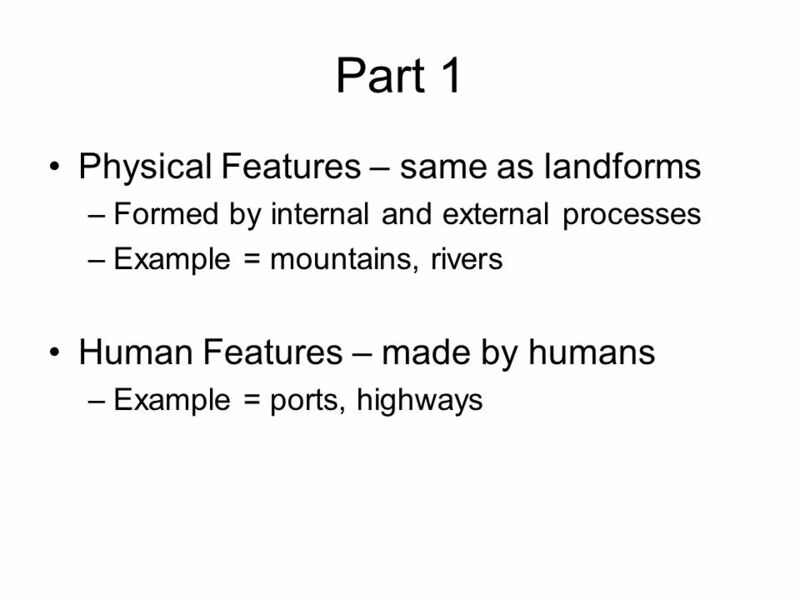 Download ppt "Thinking Like a Geographer Part 1"
Is there a difference?. Climate Vs. 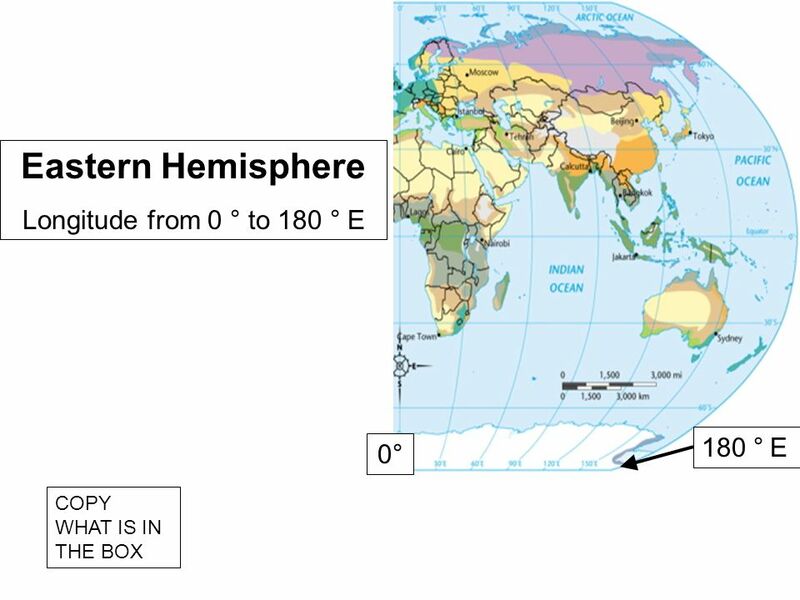 Weather Climate Long-term weather patterns of an area Weather Current state of the troposphere Short term variations. 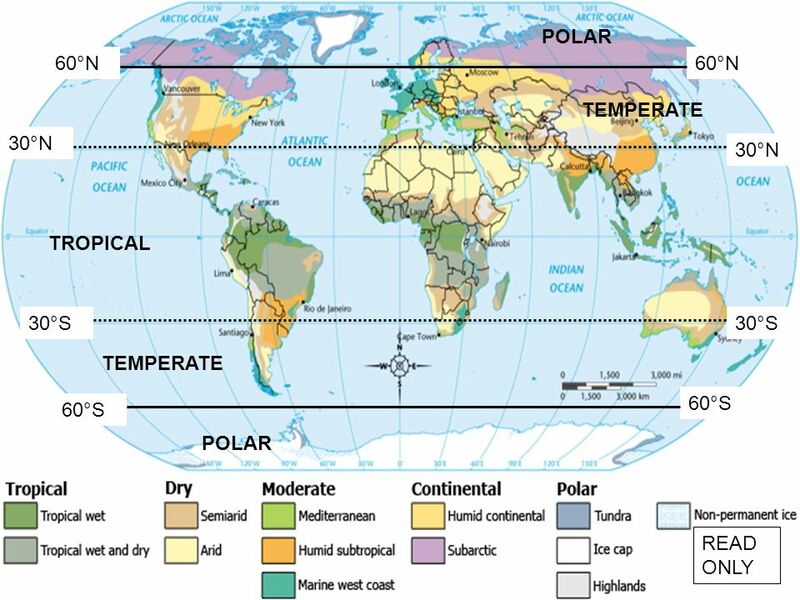 Chapter 3 Climates of the Earth. Warm Up: Climate When you are an adult, what kind of climate do you want to live in? Why? 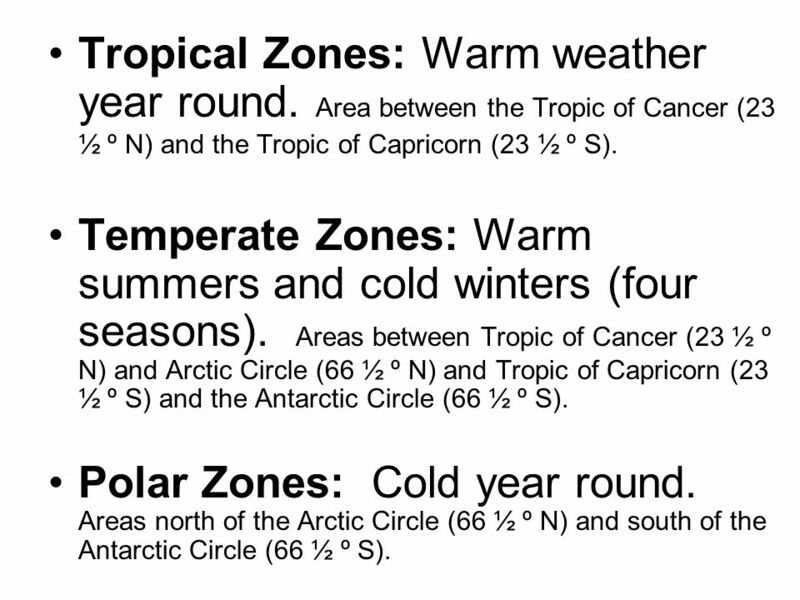 RECAP CLIMATE ZONES!. 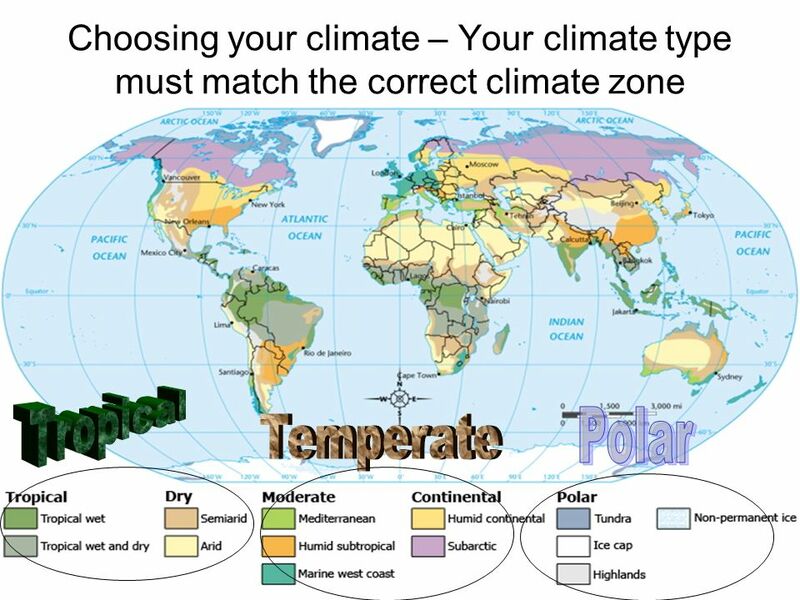 What influences climatic zones There are 5 factors which affect climate. 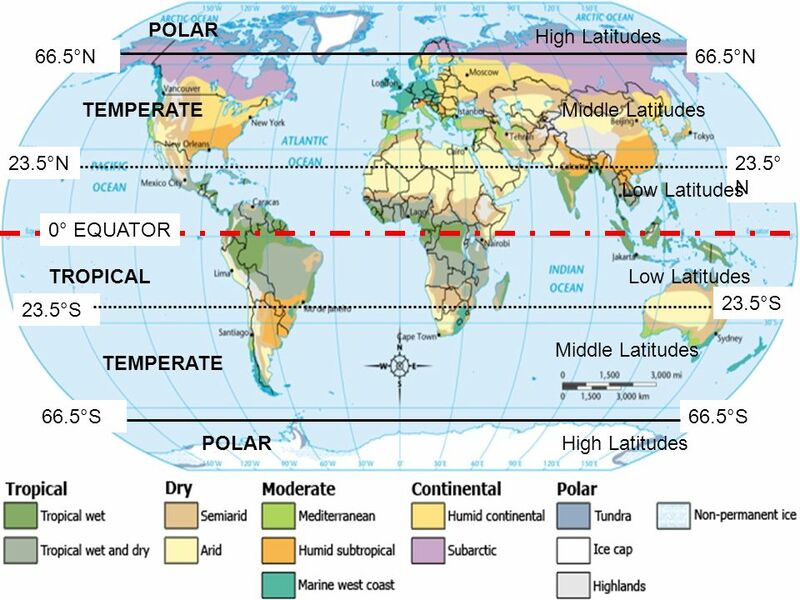 These are summarized below: Latitude Temperature range. Warm-Up Do Now: Write you homework in your planner. 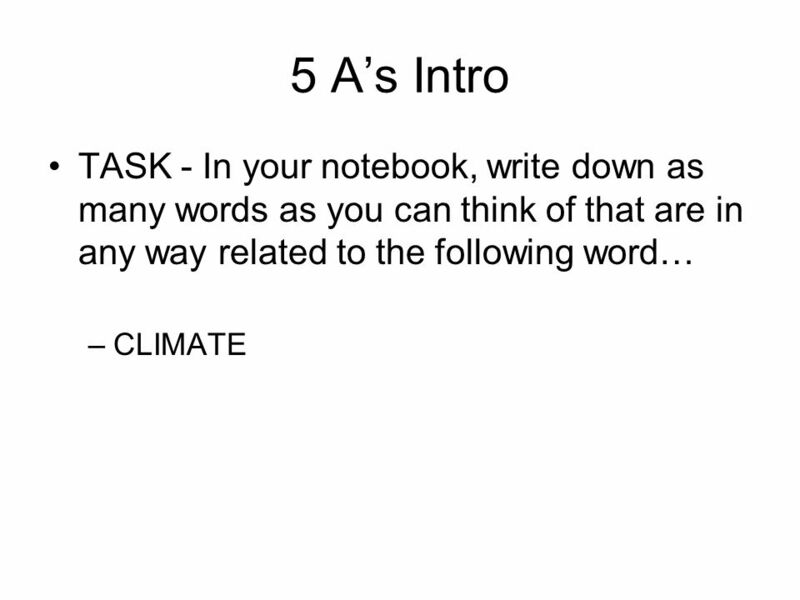 HOMEWORK: write at least a half page story that includes at least 3 of the vocabulary. QUIZ TOMORROW! 1. 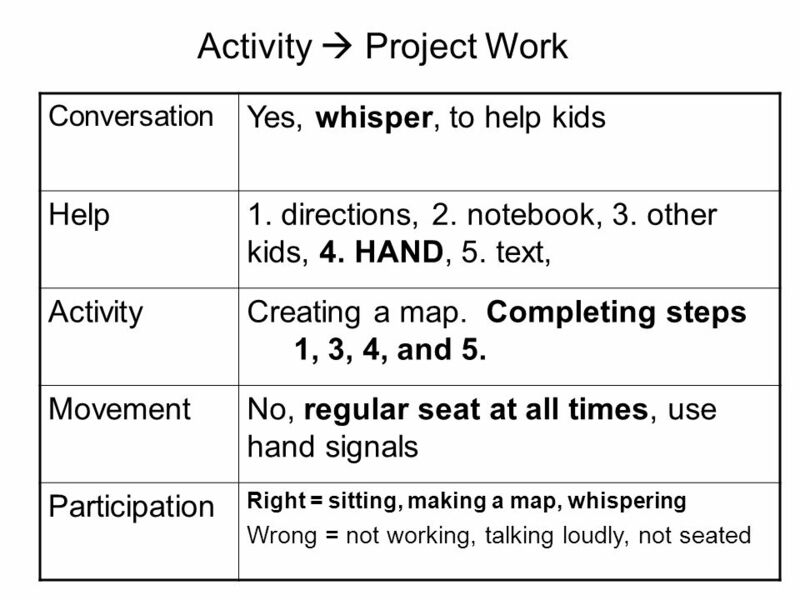 List the 5 different kinds of maps that we have studied (tickets if I see you using your notes!). 2. Write down one important thing that you remember. 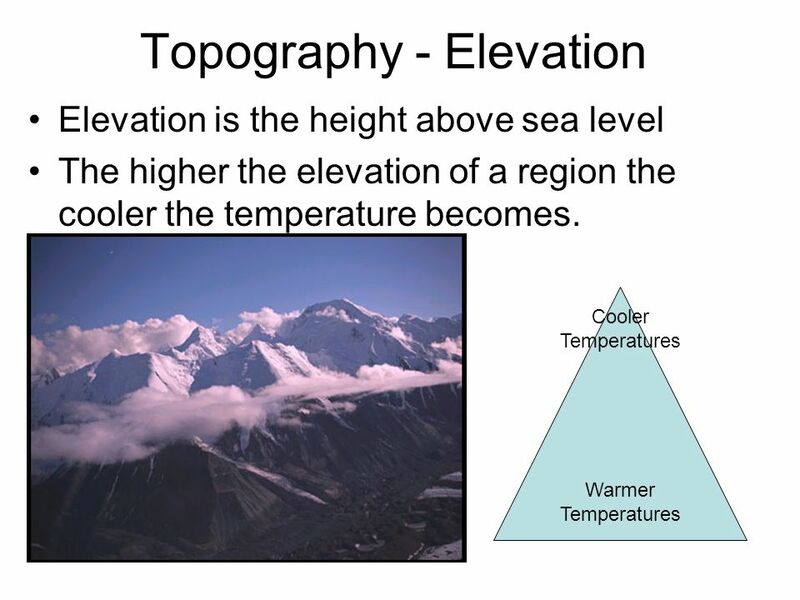 Table of Contents DateTitleLesson # 8/25CHAMPs – Focus1 8/26Spatial Analysis2 8/285 Themes of Geography3 8/295 A’s4 9/2Tools5 9/3Physical Processes6 9/23Climographs7.